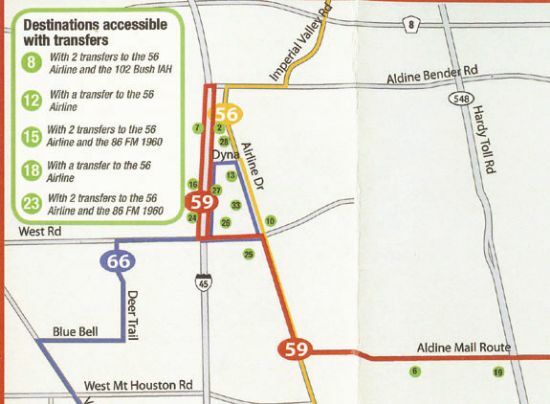 NORTHEAST – METRO announced this week that the route for the #59 bus has been changed to include the stores on the west side of the North Freeway near West Road. METRO representatives Karen Marshall and Art Murillo have led a task force that included the East Aldine District, the office of State Representative Armando Walle, citizens groups, and METRO representatives. They have been working for months to improve service on the Route #59 Bus that travels along Aldine Mail Route and Airline Drive. This route serves a number of important stops, but due to low ridership if was threatened with cancellation last year. A subsidy from the East Aldine District has kept it running through the end of 2012, and if ridership can be improved, METRO says it will continue beyond that date. However, citizens’ groups have complained that ridership is low for two reasons: it does not run on weekends, when many people use it for shopping, including the flea markets on Airline, and it does not reach major stores such as Walmart at West Road and vicinity. METRO said they had constraints on equipment and time schedules that made it difficult for them to extend the route, but after a number of meetings and strategies to rework the conditions, they agreed to change the route to include the frontage roads on the east side of I-45 from West Road to Aldine-Bender, and then down the west side from Aldine-Bender to West Road and then back to Airline. Rides on the 59 Aldine Mail Crosstown, as it is officially known, cost $1.25 each way or $.60 cents per ride with a Student METRO Q Fare Card. Buses run Monday through Friday, starting at 5:30 a.m. on Aldine Bender eastbound, and 6:06 a.m. starting at US59 westbound. They run for about 12 hours each day, until about 5:58 p.m. from Aldine Bender eastbound and 6:06 p.m. from US59 westbound. The value of this busline is obvious by studying the schedules. It serves a number of schools, including Aldine High School, MacArthur High School, Aldine Ninth Grade, MacArthur Ninth Grade, Hambrick Middle School, Stovall Middle School, Bussey Elementary, Eleson Elementary, and Stephens Elementary. In addition to numberous stores which now include Walmart, Home Depot, Best Buy, Fry’s, and the Dump, there are several pharmacies such as CVS and Walgreens on the route. Other important agencies serviced include the Social Security Offices, the Harris County Aldine Community Health Center, the Aldine WIC, Aldine CTC, and the YMCA Aldine-Greenspoint offices on the North Freeway. 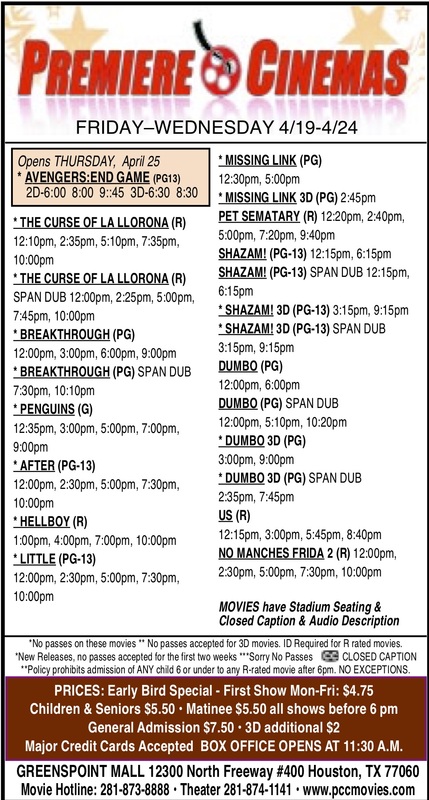 Additionally, two public libraries, High Meadows and Aldine Branch are on the route. Sports and social venues that are on the route include Primavera and Azteca Park on Aldine Mail Route. Food supermarkets that are serviced directly on the route include Kroger’s, Food City, Fiesta, and Walmart. Hardware stores include Jed’s and Home Depot. Another important aspect of this route is the ability to transfer to other routes such as 6, 83, 56, and 66. These are shown on the map accompanying this article. By transferring once or twice, riders can also reach other stores and employment centers, such as St. Anthony’s Hospital, Bush Intercontinental Airport, Airline Flea Markets, Greenspoint Mall, Northline Commons, Houston Northwest Medical Center, and Willowbrook Mall. The new route started Monday, August 27 and will continue indefinitely. METRO plans a demonstration ride for the committee, and the public, on Friday August 31, starting at the Social Security stop on Aldine Mail/US59 at 12:06 pm and reaching the Walmart for a special stopover, and then returning at 1:00 p.m. from there. NORTHEAST – After a year of budget cuts, population growth, opening of new schools, and trimming of staff and special programs, the three superintendents of school districts in the North Houston area were prepared to report that they had survived with their education programs in good shape, and that the next year or two would be easier and results better. 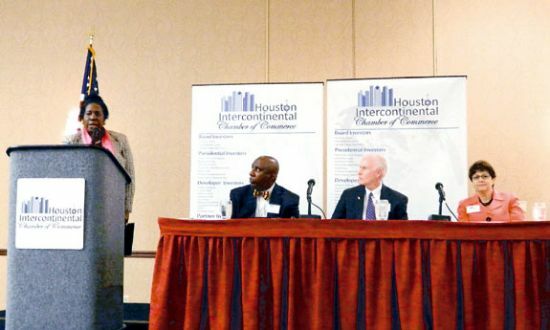 The occasion for the report was the annual Luncheon of the Houston Intercontinental Chamber’s “State of the School Districts” event, and it was well attended by the community and the Chamber. The luncheon was held last Tuesday, Aug. 21 at the Hyatt North Houston hotel. This film, narrated by Jamie Vollmer, was intended to make the point that in the last century the school classroom has added so many social and cultural teachings to the curriculum, that basic academics have had to compete with resources for time and attention. The point made in the film is that more resources must be allocated if the schools are to continue to teach these non-academic subjects. The film points out that since 1920, schools have undertaken responsibilities for transportation, business, art, music, kindergartens and pre-school, school lunches and breakfasts, head start programs, safety, counseling, and internet and technology advances. All of these have required time, money and attention resources. After the film, a special talk was given by Congresswoman Sheila Jackson Lee. She commended the superintendents, and the educators present for their enormous “caring” for the children. She pointed out that special needs children must be provided for, even after they reach their teens. She noted that test scores are affected by how these children are dealth with, and urged districts to provide special vocational training so they can to on to lead productive and normal lives. Each superintendent then made a presentation of the state of their districts. Dr. Ralph Draper of Spring said that for the first time in 8 years his district was not opening new schools or changing boundaries, had only a 2 per cent growth rate, and a surplus in their budget. This return to a more normal routine was welcome, and he said that it gave the district an opportunity to concentrate on programs such as their Early College, which now has 200 enrollees that will get a Lone Star Degree as well as a high school diploma this year. Spring was also able to open a “Green” school, Marshall Elementary, and saw this as a start on a 21st century teaching environment. Dr. Bamberg, superintendent of Aldine ISD, was proud to announce that the district will open its fifth full academic high school this year, Davis High School, named after a Tuskegee airman. She said some of the highlights of the last year included graduating 68 students from two classes of Urban College, and permitting students to bring iPads and iPhones to campus, a recognition of changes in life styles and technology. Aldine Scholarship Foundation will honor the East Aldine District with a luncheon on Sept. 15, noting their substantial financial support of the ASF program. Although the Aldine District was cited by the federal AYP program for not meeting their standards, she noted that 70 percent of Texas schools did not, and that they will not again this year. She questioned whether this metric was valid related to a good education. She told the story of a Nimitz Salutatorian who is now at MIT, doing well and not limited by his AISD education. In general Bamberg was upbeat about the upcoming year, noting that the legislature will meet in January and probably have less of a budget problem related to education next year. She opined that all of the educators were dedicated to their field, and the important reward was seeing the difference they made in children’s lives. Klein superintendent Dr. Jim Cain thanks the chamber and the businesses present for their support of the schools. He noted some growth in the Klein district, about 700 new students this year. The Klein ISD budget for next year will be $450 million, and he is looking for the legislature to help with more funding in January 2013. Texas continues to grow rapidly, with 160,000 new students statewide every two years. About 60% of these can be classified disadvantaged, requiring additional help from the state. The audience questioned whether there was enough emphasis on skill or trade training, vs. college-bound teaching. Bamberg noted that state accountability ratings do not recognize skill programs, a problem. Draper suggested that there is too much testing emphasis, and that this gets in the way of education goals. Want to help the School Districts? Both are having fund-raising golf tourneys, Klein on Oct. 16th and Spring on Oct. 30. Sixty local HISD students volunteered for a “Summer Camp” during the last four weeks, sponsored by Mattress Mack from Gallery Furniture. 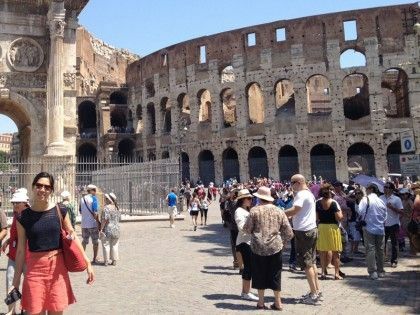 They participated in learning programs, field trips, and a whole set of new experiences for the group. They even learned how to cook a banquet and serve their benefactors. Mattress Mack is known for his generous support to various local charities, needy families, contributions to Houston Rodeo that go toward college scholarships as well as to schools. His most recent contribution is a summer camp at Fonville Middle School in the Houston ISD. “Mack provided funding for the whole program, including teachers salaries, food, and expenses,” said Kelly Musick, a social worker with Children’s Protective Services in Harris County in partnership with Fonville Middle School. There were seven teachers and two volunteers in the four week program, she said. During summer school at Fonville Middle School at E. Little York a total of sixty kids “had different classes, they went to reading, science, and religion classes,” said Mrs. Musick. Kids also went on field trips and visited Reliant stadium and the Ringling Bros. Circus. There was a section about kids’ Dreams and Goals where “different career speakers came and talked to the kids. We had an attorney, a pharmacist, a retired FBI agent, and a fireman” said Mrs. Musick. This exposed the kids to various careers, giving them ideas of what he or she may want to be when they grow up. At the end of the four week summer program, kids had the opportunity to go and shop at local stores. HISD donated school supplies that were placed inside the backpacks to give to kids in the program during a closing ceremony on Thursday night, August 9th. 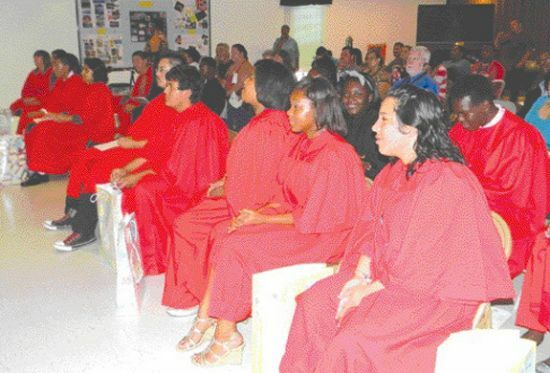 The summer program took place at the school, which is located at 725 E. little York in Houston from July 16 to August 10, 2012; it was for anyone from second grade to eight grade, “anyone who signed up, whoever wanted to come and younger siblings as well,” said Mrs. Musick. 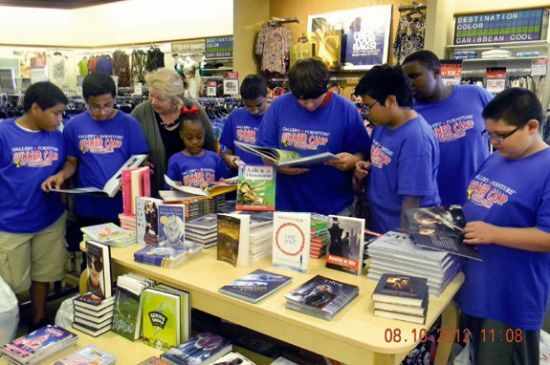 Each year Jim McIngvale and Gallery Furniture use the summer months to provide a unique learning experience for a group of kids that otherwise would not have the opportunity to learn more. The program varies from year to year. One of this area’s outstanding leaders was recognized last week for his years of service to various community organizations. 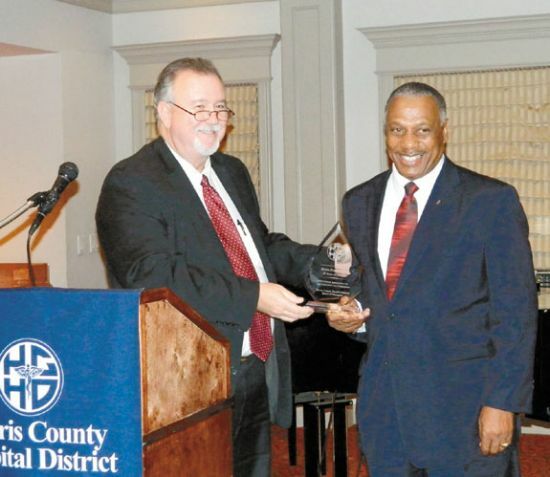 Elvin Franklin was the honoree at a dinner held for him by the Harris County Hospital District at the Briar Club in west Houston, last Friday, Aug. 10th. The dinner was attended by over a hundred friends and associates of various aspects of his career and service. Franklin has been a board member of the Hospital District since 1986, its longest serving member. He also has served over the years on the YMCA board, Greenspoint District Redevelopment Authority, North Forest ISD school board, and Greenspoint Rotary Club. Franklin was educated at Mississippi State University and Grambling State University. He came to Houston to work for Gulf Oil, but with his wife Ann soon joined State Farm Insurance and ran this agency for 38 years before his recent retirement. Clinics built around the county. Presenting accolade and awards to Elvin Franklin during the evening were HCHD Board Chair Stephen DonCarlos, HCHD President/CEO David Lopez, Dr. Lois Moore, State Rep. Alma Allen, and County Commissioner El Franco Lee. Residents of the Airline District can look forward to a new community park in about six months, according to Airline District’s executive director Teri Koerth. Construction bids were opened last Tuesday, August 11, and six bidders submitted bids. The apparent low bidder was within the budget, and a contract signing and ribbon cutting signalling the start of construction is anticipated within 30 days. The park is 10 acres, on the site of a former AISD school at 222 Raymac Lane, off Airline Drive.The Airline District has completed a Livable Centers study outlining goals for improved quality of life in the district for the next 5 or 10 years. Included in the plan are more parks. The goal is to have a park within 1/2 mile of all residents, and to develop about eight parks of various types. Included would be parks using the Bayou trails system. These include a pocket park, an urban park, and a basin park in the study. In addition a park themed as a Recreation Center is in the plan. Raymac will be the first free-standing community park in the Airline District, but it joins existing purposed parks Melrose, Dow Park II, and the new Spark Park at Carroll Academy. Funding for Raymac is a joint venture of the Harris County Community Services Department, with $115,000 of federal CDBG monies, $200,000 from a Texas Parks and Wildlife grant, and the Airline District’s matching share of $50,000. The total budget for the project therefore came to $365,000. 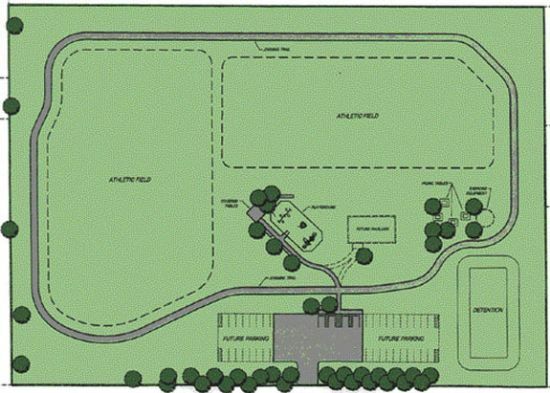 Bids for the construction of the park were received from Metro City Construction, Hubco, Inc., Cooley Construction, Stone Castle, Montgomery Building Services LLC, and Paving Design Plus. The low bid was submitted by Paving Design Plus, at $290,000 which is within the budget. Prior to proceeding with a contract, the bids and contractors are being examined by the Engineer, McDonough Corp., and the district’s attorney, Looper Reed & McGraw PC. It is anticipated that the project will start within 30 days and be completed in about 6 months. ALDINE–Students at the School of Business in Aldine Community Transformation Center (Aldine CTC) celebrated their summer graduation on August 2, 2012. A total of 15 graduates and 6 program participants received a certificate for completing a nine week business summer program. Guest speaker Dr. Margaret Ford Fisher, president of Houston Community College-Northeast talked to students about “ownership”. “The first level of ownership is ownership of self, what you do, where you go, the decision you made,” said Dr. Fisher. Learning to control emotions is “part of learning ownership,” said. Dr Fisher. Dr. Fisher explained that if someone does not control his emotions, (anger, hapiness, sorrow) sometimes could get you in trouble. “A lady won the lottery, was so happy that she had a heart attack; anger could also get you in trouble,” Dr Fisher added. During the nine weeks summer program, students received hands-on training in marketing, customer relations and retail principals just to name a few. Interns also trained at the resale shop (located in front of the Aldine CTC) in areas such as customer service, inventory control, stocking, cashier skills and merchandising. All graduates agreed that skills learned at the program would help students in their career or when they apply for a job. School of Business 2012 Summer graduates are: Summer Angel, Sandra Colindres, Krislyn Curtis, James Davila, Kaylyn Gay, Tommy Gonzales, Juan Herrera, Raimore Kayode, Jaylun LaRue, Brandy Marsh, Fernando Monsibais, Miguel Ontiveros, Blanca Reyna, Alexis Robledo and Jasmine Rojas. Program participants are: Shaakira Carr, Megan Castillo, P.J. Gonzales, Raime Kayode, Daron McGuire and Ashley Price. Ms. Monique Stewart, school of business life skills trainer and Mr. Ronnie Lillard, assistant life skills trainer are responsible for the sucess of the students at the school of business. The School of Business program is sponsored in part by the East Aldine District. Board members Joyce Wiley and Gilbert Hoffman were on hand to receive a recognition award.